The next two months, July and August, are the most brutal when it comes to the heat index. Houston citizens are not strangers to the extreme heat. As we mentioned in our previous article, the average temperature in Houston for July and August is 94 degrees. Whether you are an existing homeowner or looking for a new home, here is something you should consider. When having your roof placed or replaced, be sure to choose the right shingles. Shingles play a major role in how hot your home can become. WHICH SHINGLES SHOULD YOU CHOOSE? CLAY SHINGLES: The best shingles to choose that deflect heat are made of slate or clay. These shingles do not absorb heat like typical shingles do. 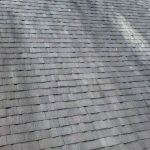 These shingles do a great job of keeping your attic cooler, even during the really hot summer months, which in turn keeps your entire home cooler. When your home is naturally cooler, then your air conditioning unit doesn’t have to work nearly as hard during the summer. This can save you money on energy bills, which can add up in the long-run. In the short-run, however, these types of shingles are the most expensive. Of course, these are aesthetically pleasing, but may not fit the style of your home. LIGHT COLORED SHINGLES: When it comes to choosing composite shingles, the thicker the better. Architectural shingles are the thickest, but they are also the most expensive. They also have the longest warranty (typically 50 years). This is followed up by laminate shingles (30-50 year warranty) and 3-tab shingles (20-year warranty). Regardless of which you choose, always choose lighter colored shingles. These do a much better job of deflecting heat compared to darker shades. Choosing lighter shades can greatly reduce energy usage as well. Are your shingles older than 20 years? Have you noticed any missing or cracked shingles? Shingles don’t last forever, but they can last a very long time. At Amstill Roofing, we want to make sure your roof is in good condition and will hold up during the summer months and the incoming hurricane season. Contact us today and schedule a free roof inspection. We will inform you of the health of your roof and how you can make your current or future roof better. July Brings the Heat. Can Your Roof Handle It? This month is going to be hot. How do we know that? Because it’s Houston and it’s July. But what does that mean for your roof? Honestly, nothing good. The average temperature in Houston during the month of July is 94 degrees (that goes for August too). When temperatures hit this high, the temperature in your roof can hit up to 160 degrees. That’s insanely hot. 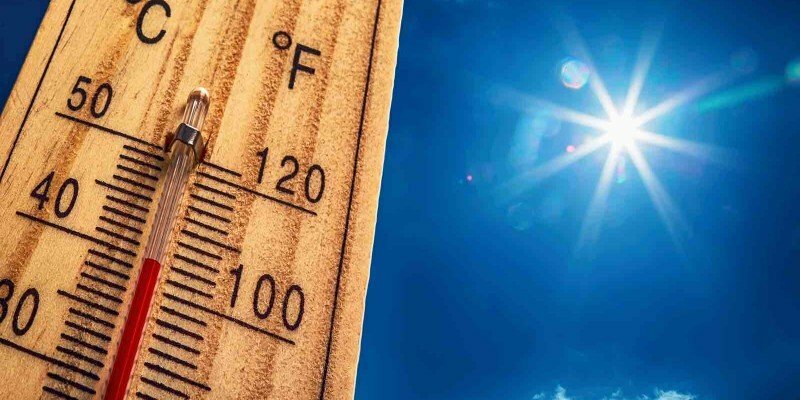 When extreme heat hits your roof, it can cause your roof to loosen and weaken. When the heat subsides and cooler temperatures prevail, it can cause the roof to expand and contract. This isn’t helpful to your roof. Extreme heat can affect your shingles and other elements on your roof. Over time, the damage can increase and cause severe weakness in the roof. Summers in Houston can be brutal to most structures, and roofs are no exception. 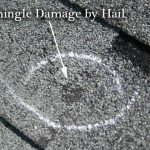 This is why it is very important to have your roof inspected, especially if your roof is old. If your roof is closing in on the 20-year mark, then that is a sure sign that you should schedule a roof inspection. 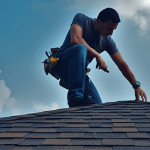 Our Houston roof inspectors are highly trained on what to look for when conducting an inspection. 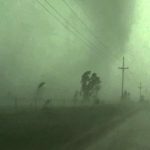 They will find any weaknesses within the roof that could lead to expensive roof damage repairs and provide you with a precise plan of action. Our goal at Amstill Roofing is to protect your home, and we do that by ensuring your roof is in great condition. When your roof is secure, this means your home will protected from leaks, attic invasions by animals, and other rather natural problems. PROTECT YOUR ROOF. GET AN INSPECTION. There is no time like the present, especially during the hot months, to have your roof inspected. 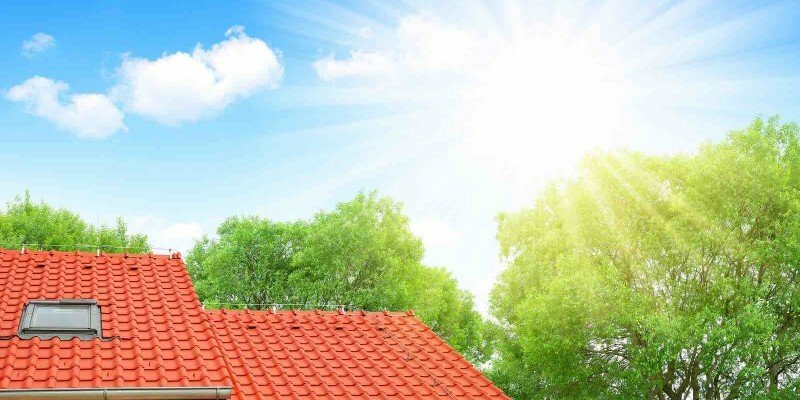 The sun will be bringing the heat, so make sure your roof can handle it. Contact Amstill Roofing today and schedule your free roof inspection.